Coming to bali in small group? then you might want to consider renting a mini bus. 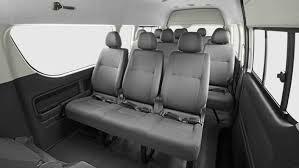 Toyota HiAce Minibus Rental in Bali is one of the best mini bus class, this made by Toyota vehicle focused on the comfort of the passengers.